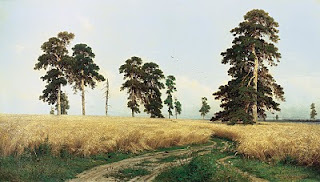 Ivan Ivanovich Shishkin (Russian: Ива́н Ива́нович Ши́шкин; 25 January 1832 – 20 March 1898) was a Russian landscape painter closely associated with the Peredvizhniki movement. 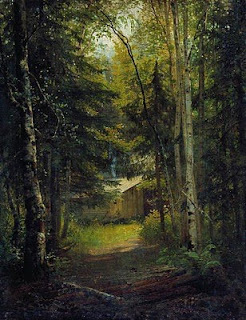 Shishkin was born in Yelabuga of Vyatka Governorate (today Republic of Tatarstan), and graduated from the Kazan gymnasium. Then he studied at the Moscow School of Painting, Sculpture and Architecture for 4 years, attended the Saint Petersburg Imperial Academy of Arts from 1856 to 1860,which he graduated with the highest honours and a gold medal. He received the Imperial scholarship for his further studies in Europe. 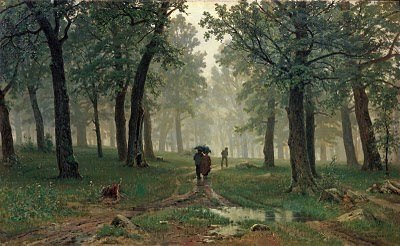 Five years later Shishkin became a member of the Imperial Academy in St. Petersburg and was professor of painting from 1873 to 1898. At the same time, Shishkin headed the landscape painting class at the Highest Art School in St. Petersburg. For some time, Shishkin lived and worked in Switzerland and Germany on scholarship from the St. Petersburg Imperial Academy of Arts. On his return to Saint Petersburg, he became a member of the Circle of the Itinerants and of the Society of Russian Watercolorists. He also took part in exhibitions at the Academy of Arts, the All Russian Exhibition in Moscow (1882), the Nizhniy Novgorod (1896), and the World Fairs (Paris, 1867 and 1878, and Vienna, 1873). Shishkin's painting method was based on analytical studies of nature. He became famous for his forest landscapes, and was also an outstanding draftsman and a printmaker. 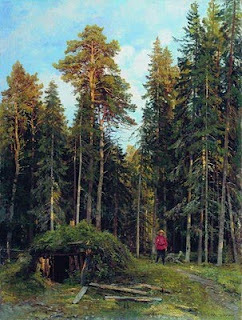 Ivan Shishkin owned a dacha in Vyra, south of St. Petersburg. There he painted some of his finest landscapes. 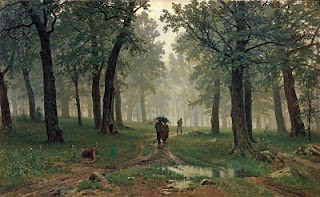 His works are notable for poetic depiction of seasons in the woods, wild nature, animals and birds. 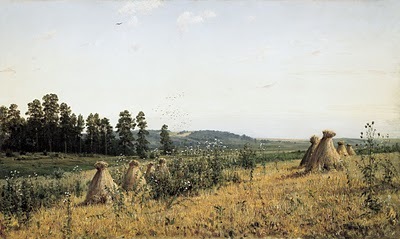 He died in 1898, in St. Petersburg, Russia, while working on his new painting. A minor planet 3558 Shishkin, discovered by Soviet astronomer Lyudmila Zhuravlyova in 1978 is named after him.